VIRGINIA BEACH, VA (October 4, 2016) – As Hurricane Matthew inches up the coast AAA Tidewater urges motorists to be careful on the roads. The heavy rains and strong winds associated with hurricanes can quickly reduce visibility and create dangerous driving conditions on area roads. 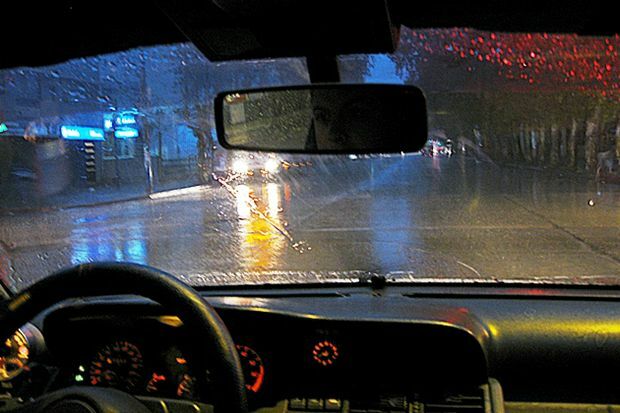 Motorists should to take extra precautions when driving in any volatile weather. Gas up your car since power outages may leave service station without the ability to pump fuel out of the ground. Clear your windshield and windows on the inside and outside. Be sure tires are properly inflated. Check that all vehicle lights are working properly. Remove excess items from the car and trunk, and replace them with an emergency road service kit which includes: flashlight with extra batteries, reflective triangles, fire extinguisher, jumper cables, first aid kit, jack and a spare tire, rain gear or extra clothing, and pocket knife. If your car has been damaged, take pictures of the damage for insurance claims and contact your service agent. If power lines are on your vehicle, do not attempt to remove them nor touch the vehicle. Contact the local power company for assistance. If the vehicle has been flooded, contact a qualified automotive technician before attempting to start a flood-damaged car.Have the technician inspect all mechanical components including the engine, transmission, steering system, axles, and fuel system for water contamination. Also have the technician drain floodwater from contaminated systems and flush with clean water or a solvent, as appropriate. All contaminated fluids, such as oil, transmission fluid, and engine coolant should be drained and replaced. If you are planning to travel to or through an impacted region, be sure to check with your travel agent, airline or cruise provider. Your travel itinerary could have changed due to the storm. Traditional travel insurance policies are valuable for a variety of travel situations; however, they do not cover acts of God and are therefore no help for travelers facing storm related cancellations. Travel vendors will often offer impacted clients alternate destinations and/or the ability to rebook their travel at a later date. It is important to find out what your policy covers. When you know what the deductible will be, find out when it will be imposed. There are some deductibles that are strictly wind deductibles that are imposed regardless of being a named storm, the deductible applies for all wind related losses. While you may not be able to amend this deductible you can educate yourself so that you understand what you have and when it applies! Do you have flood insurance? Some people don’t realize that water rising (flood) isn’t covered under the standard homeowner’s policy in Virginia. On the auto side, double check your policy to be sure you know the deductible and what is covered. Remember, it is important to review and request adjustments to your policies BEFORE there is a storm approaching. Once a storm is on its way, insurance companies implement moratoriums that prevent changes in coverage or deductibles being reduced.